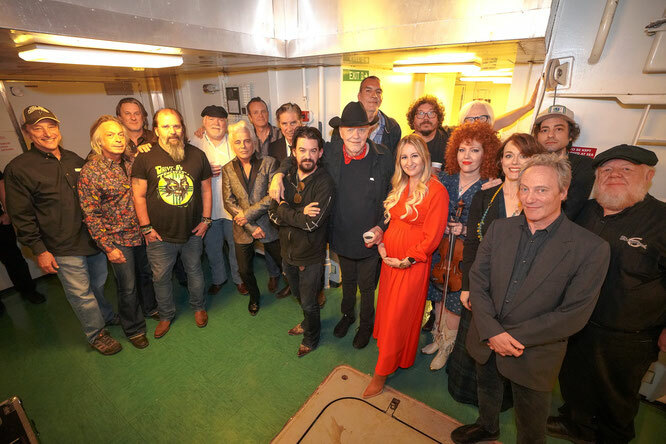 SiriusXM Outlaw Country to Air “I Want to Go Home: An Outlaw Tribute to Bobby Bare” In Celebration of Legend’s 84th Birthday - Newhillbilly website. 100% American Roots Music. Born in Ohio, Country Music Hall of Fame and Grand Ole Opry member Bobby Bare is one of the most iconic country artists of our time with chart-topping songs like “Detroit City,” “500 Miles,” “Marie Laveau” and many more. From country legends like Little Jimmy Dickens and Hank Williams to big band acts like Phil Harris and the Dominoes, Bare’s style was molded and led him to nearly five dozen Top 40 hits from 1962 to 1983. The original “Outlaw” of country music, Bare was honored with many awards and accolades, multiple GRAMMY nominations and wins and an induction into the Country Music Hall of Fame in 2013. In 2017, Rolling Stone named him in the top 50 of the “100 Greatest Country Artists of All Time.” 2018 marks his 60th anniversary in the music business and the release of his studio album, Things Change, and two new music videos. The Outlaw Country legend continues to play sold out select dates throughout the United States and internationally. April of 2018 marked his 83rd birthday and a pinnacle moment in history as he was welcomed back home as a member of the Grand Ole Opry by Garth Brooks. For more information, visit www.bobbybare.com.